What have we been doing with our Magic Mirror Photo Booth. Our Magic Selfie Mirror has been on the road a lot recently. We have been all over Scotland and the north of England. We are covering such a large geographic area so lots of people can experience this new concept in entertainment. We can believe how popular the selfie mirror has become. March 2019 - We had our selfie mirror at the Dunkeld Hotel for the Dundee Law Society Student Evening. Botanic Gardens, Edinburgh - We have supplied our selfie mirror at the Royal botanic gardens in Edinburgh. 2019 - We are deciding to continue with our reduced price selfie mirror package. We have been running it throughout 2018 and many people have taken advantage of the special offer so are going to try and keep it at the same price for this year. Bruntsfield Hotel - Edinburgh - We had our Selfie Mirror at this hotel twice within the space of 2 weeks. Colzium House in Kilsyth - Another great night out with our selfie mirror. New Lanark Mill Hotel - We recently had a selfie mirror at this hotel for a party. Bothwell Birdge Hotel, Glasgow - The selfie mirror went to this venue in July for a 40th birthday partly. It was a very small function room with a lot of people so the selfie mirror fitted in to the corner quite nicely. Inchyra Grange, Falkirk, I am used to photographing weddings at this venue but recently I supplied a selfie mirror for the St Mungos High School, Falkirk School prom. The Royal Society of Edinburgh - We recenty supplied your magic selfie mirror photo booth for a wedding at this Edinburgh wedding venue. Cornhill Castle - We recently suppliers our Selfie Mirror at Cornhill Castle in Biggar, South Lanarkshire. Glenskirlie House & Castle - The Wedding guests at Glenskirlie Castle enjoyed using our Magic Selfie Mirror Photo Booth. A good time was had by all. Peebles Hydro - Magic Mirror was in action recently at Peebles Hydro hotel and was enjoyed by the wedding guests. Healey Barn, Northumberland - We recently provided our Selfie Mirror at Healey Barn in Northumberland. This is a Wedding Venue that sits around 7 miles from the historic market town of Hexham. Marine Hotel, North Berwick - We enjoyed supplying our Magic Mirror at one of the best wedding venues in East Lothian. A great time was had by all. Pitbauchlie House, Dunfermline - Not a lot of space at this venue but due to the style of our Mirror Photo Booth we were able to ensure all the guests at this wedding were able to have a very enjoyable time. Gilvenbank Hotel, Glenrothes - Our magic mirror was enjoyed by everyone in attendance at the Gilvenbank Hotel in Glenrothes. Everyone loved trying our Magic Selfie Mirror. Airth Castle, Central Scotland - Our Magic Mirror Photo Booth has been in action at Airth Castle. It is a beautiful Wedding venue in central Scotland. Best Western Lovat Hotel, Perthshire - The Lovat Hotel in Perth is a Perthshire venue where we will soon be supplying our mirror photo booth. Barony Castle, Peebles - Our Selfie Mirror Photo Booth has recently been in action at Barony Castle in Eddleston near Peebles. Our booth was very busy for the full 3 hours it was booked for. Macdonand Cardrona Hotel, Peebles - Another great night at the Macdonald Cardrona Hotel near peebles with our Magic Selfie Mirror Photo Booth. 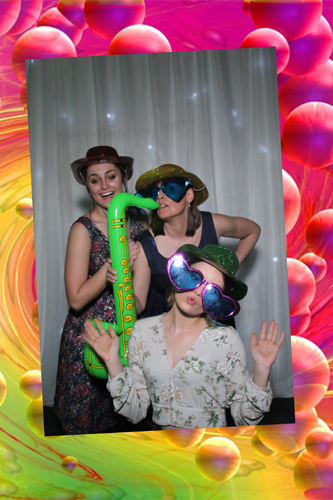 Kings Acre Golf Club, Lasswade Midlothian - Not much room for a traditional Photo Booth at this venue but we found our Magic Selfie Mirror Photo Booth fitted in perfectly at this venue. Deer Park Hotel, Livingston, West Lothian - Everyone in Livingston that was at the Wedding absolutely loved have a go of our Magic Selfie Mirror Photo Booth. Sherbrooke Castle, Glasgow - We recently had our selfie mirror at a wedding at Sherbrooke Castle in Glasgow. Wedding Venues in the north of England - A few bookings have been coming in for our Selfie Mirror Photo Booth for wedding venues in Cumbria and Northumberland. We are always happy to travel throughout the north of England as well as Scotland to supply our Mirror Photo Booth.